Milpas 100% vegetable soy bean oil is a favorite among the finest restaurants. 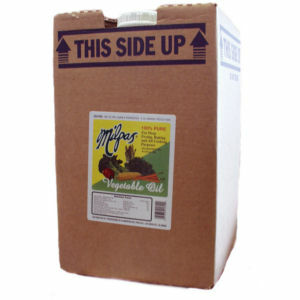 Milpas is carefully packed and kept fresh in its thirty-five pound container. We include an easy to use spout for your convenience. Milpas quality and freshness is guaranteed. Code Date Information: Tracking code is date manufactured for food service size.